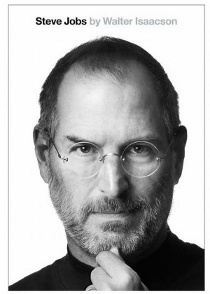 My first reading of 2012 was this 600-pages official biography of Steve Jobs by Water Issacson. Very few things remain to be said about this legendary but highly controversial character who wanted to “put a dent in the universe” and is among the handfuls who actually did. Famous for revolutionizing PC industry, music industry, movie industry and cell-phone industry and infamous for his condescending attitude and treatment towards his employees, family, friends, business counterparts and practically everyone, Jobs was truly a multidimensional and complex character who lived through one after another dramatic phases in his life. This biography is a must read if you have ever been impressed by Steve Jobs or his inventions in your life or want to know an honest account of the life of a visionary. I found the book very comprehensive, brutally honest and very interesting to read. If you ask me, this is probably the most cited Nepali book till date. I was impatient to read this book after I had too many of "OMG, you haven't read Fatalism and Development yet?" reactions from people during conversations about books. So it was among the first book I read in 2012. 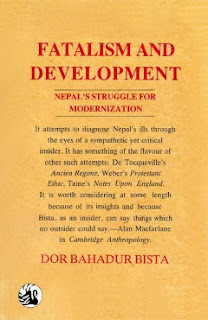 Written by the renowned sociologist Dor Bahadur Bista and published in 1991, even after two decades the book is still very relevant and resourceful for anyone wishing to understand the cultural and social aspects of Nepalese society that prevents it from fully modernizing. He has described how Nepali society has been engineered into a fatalistic attitude mainly because of 'alien' influence of Brahmanism from India. At times, I found his generalizations about castes and ethnic groups too uncomfortable but overall the insights he provides are very useful. I have written an article on the relationship between Fatalism and Free Market which can be found here. 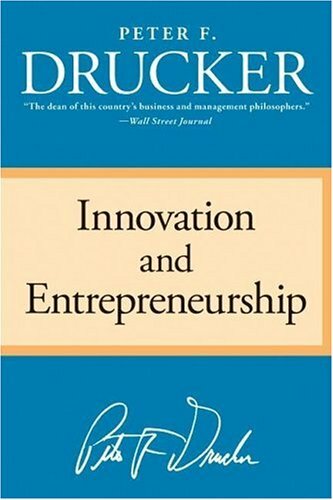 In this classic book, Drucker describes about the difference between entrepreneurship and business. The difference between the two terms is very confused, especially in the developing societies where innovation is lower compared to more developed societies. 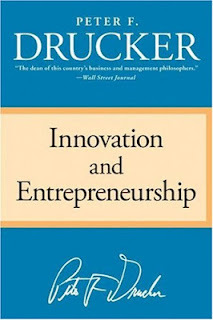 Drucker says entrepreneurship is more about innovation than just a business. Innovation doesn't necessarily mean finding a new product or technology only, innovation is, in fact in most cases, about finding new ways of doing the same thing more effectively, recognizing the incongruity between the perception of consumers and producers, recognizing the changes in industry and market structure and adjusting products and services accordingly, planning and producing products and services according to the demographic structures of the society etc. You can read more of my thoughts on the book here. I very much enjoyed this book — which is detailed and entertaining and conceptual all at once. The book basically outlines, the lives, works, influences and inter-relationship of two great economists of the twentieth century- F.A. Hayek and J.M. Keynes whose opposing and conflicting view points competed to dominate the political economic discourses of the world for the past century and continue to do so. 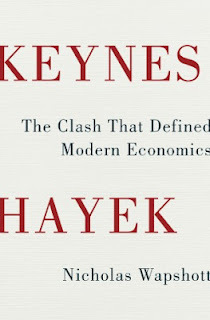 Keynes,a proponent of government intervention and direction of the economy was able to dominate the discourse until 1970s whereas Hayek, a proponent of free markets dominated the scene from 1970s to 2008 as per the author. It is hard to find anyone who hasn't heard about J.M. Keynes and it is hard to find many people who have heard about F.A. Hayek, let alone people who have actually read his books. But it is very interesting to know that these two people with competing claims have influenced the political economic discourse of the past century so much. You can read more of my thoughts on the book here. No, the book is NOT about how to become a millionaire. There are countless books that promise to make you a millionaire and if reading made someone a millionaire I would be surely among the first ones ;) . Based on years on research, statistics and case studies, this book profiles people who are already millionaires and tries to find the common traits and behaviours (especially saving and spending behaviour) between them. One of the major findings of the study is that high-income-earners with a hyper-consumer lifestyle are not necessarily millionaires. Majority of the wealthy people are those high-earners with a frugal mindset. 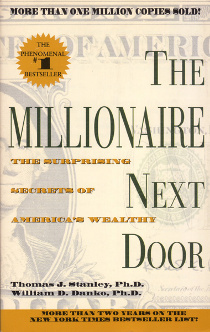 Majority of the millionaires were found to be living below their means, allocating time and resources for things that help build wealth (e.g. good education), giving more importance to financial independence than display of social status and making their adult children financially independent. Most interestingly, 80% of these wealthy people created the wealth themselves not inherited it. Although, the book is based on American millionaires, the insights it provides are universally applicable. But let me warn you: the book is quite boring and repetitive at times. 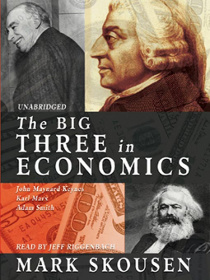 A very well-written and easy to read (easy to listen for me) book, The Big Three in Economics describes the battle of ideas among the three most influential economists in world history: Adam Smith, representing laissez faire; Karl Marx, reflecting the radical socialist model; and John Maynard Keynes, symbolizing big government and the welfare state. The author not only describes the ideas proposed by these personalities but also highlights the lives they led. The author is obviously an admirer of Adam Smith and makes no efforts to hide it. He has put Smith on the top rung of the totem pole of influence and impact followed by J.M. Keynes and Karl Marx at the bottom. However, he has his opinions well backed up by the facts and observations. I found the book very insightful, entertaining and informative. I accidentally started reading this book. One day while going through my e-library in my laptop I found this book. So, I read a few pages to see if it was interesting enough. Then I could not stop before finishing it. In this moving book, journalist Barbara Demick follows the lives of six North Koreans of various walks of life who have fled North Korea and are currently living in South Korea, to find out what it's like to live as an ordinary citizen in the 'Hermit Kingdom'. The lives of ordinary people seems as if they are living in an Orwellian world, probably even worse. It is hard not to get emotional while reading the book, feel pity for ordinary North Koreans and be thankful that you were not born there. I have written a blog-post detailing the 13 most shocking things I found about ordinary people's lives in North Korea in this book. You can read them here. A journalistic account of social, political history of Nepal as a background to the Maoist Insurgency that engulfed Nepal for a decade. 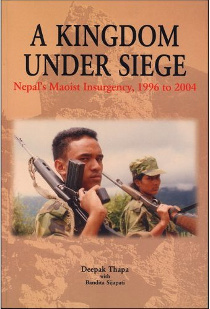 The book covers the events of until 2004 only when the Maoist insurgents and the government declared siege fire for the second time and sat down for talks. Thapa vividly describes the way people's lives had been affected by the insurgency, the motivations that drove the insurgents and the way government reacted to the phenomenon. It is a very informative and insightful book for anyone wishing to understand the causes and effects of the insurgency in Nepal. I wish the author would write another book detailing the events of post 2004 until the movement of 2006 that ended the insurgency with a peace agreement. I had read a few chapters of this book before and have written about this book a few times in my blog as well. But this year, I read the book cover to cover. This is one of the most important books I have read about development economics. 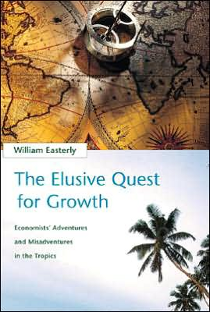 In this book, Easterly describes why the numerous efforts to improve the lives of people living in Third World countries have failed and what can be done to achieve the real result. Recently, i saw an article by Oxfam saying "Annual income of richest 100 people enough to end global poverty four times over". People talk as if developing countries have not received any aid at all till date. How I wish people would read this book and realize that the problem of poverty is not that there in not enough aid or not that wealth is concentrated. The major problem is how majority of the people in Third World countries are deprived from creating wealth. I had heard a lot about Grameen Bank and micro-credit before but did not actually know the nitty-gritty and inspiration behind the program. This autobiography of Yunus describes how the idea of Grameen Bank was born and how micro-credit has been helping millions of poor around the world. 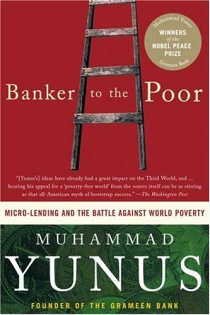 Yunus has also described how Grameen Bank have adapted with the social and economic backgrounds of its clients to develop the current mechanism of providing micro-credit which tries to encompass as many poor as possible along with addressing not only the economic challenges faced by them but also the social challenges. Grameen Bank maintains a repayment rate of around 97% and has a net worth of more than a billion dollars. The book provides insights to the readers on how poor are capable of helping themselves and how helping them help themselves is more effective than patronizing them with charity. So, that was the list of top ten of the books I read in 2012. What do you think? How many of them have you read? Are there any books that you would recommend me based on my interest as depicted in this list? Do share feedback and opinions in the comments below!